I’ve just gotta take my hat off to the guys at Yamaha. Not only are do they make ball-tearing 1000cc Superbikes (love those! ), but they have a fine pedigree over the years with their musical instrument division as well (anyone remember the DX7 synthesiser, per chance?). Unsurprisingly, the Japanese giant has also been a major force in the home entertainment area and has numerous world firsts, like the first DSP based home theatre processor for example. Before that particular device revolutionised (or practically created) the world of home theatre, the bespectacled boffins and music lovers at Yamaha were busily creating great pieces of 2-channel hi-fi gear, such as the much-revered NS1000M loudspeakers. They almost abandoned the high-end 2-channel market in favour of the wonderful world of home theatre quite a few years back, but the re-popularising of good old stereo listening recently has seen Yamaha storm back into contention with some outstanding components like the AS-2000 amplifier and CD-S2000 disc spieler. 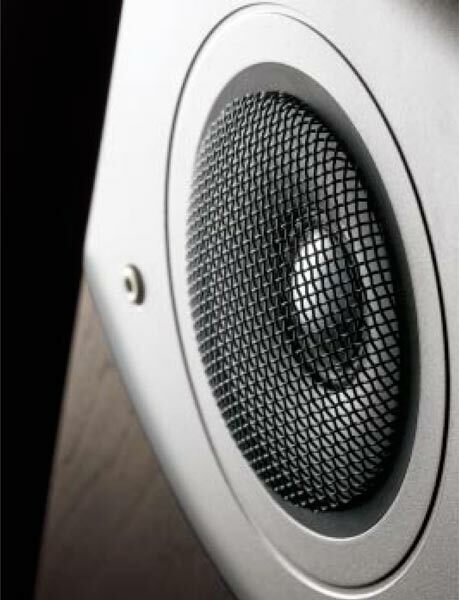 Unknown to most, however, is the Company’s range of loudspeakers spearheaded by the upmarket Soavo range. I had been impressed by the flagship Soavo One floor-standers a couple of years ago, and so I was curious to discover whether the same sound quality could migrate down to the smaller members of the Soavo family. Enter the smart looking Soavo 2 bookshelf speakers, resplendent in a coat of real-wood birch veneer and sporting an unusual cabinet shape. The idiosyncratic shape of the bass-reflex Soavo 2 is designed to lessen internal standing audio waves – these can adversely affect the quality of sound, especially when it comes to bass response, so Yamaha have applied real engineering and science in order to combat them. A single 3cm aluminium dome tweeter (mounted on a stylish alloy plate) is used in tandem with a 16cm PMD bass/mid driver, while both build quality and the speaker binding posts are of true class. The speaker is rear-ported and shouldn’t be placed directly against a rear wall, but the thoughtful chaps at Yamaha have seen sense and included foam plugs for those unable to place them away from walls. I trialled the speakers with them in place and found them very effective at reducing ‘boom’ when situated close to the back wall. 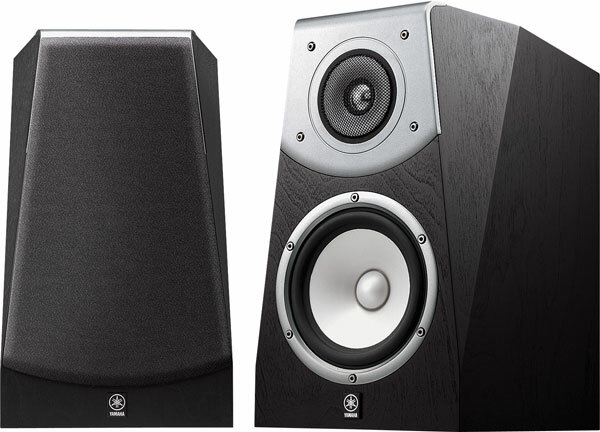 Lugging the Soavo 2’s onto my heavyweight Sound Creation speaker stands was no easy feat – the sturdy looks are matched by their hefty build and weight, but once perched on my oil rigs it was time to connect and ‘let the music flow’, so to speak. My listening room measures 7m x 5, and has a concrete floor with plenty of soft furnishings and carpet. The Soavo’s were toed in slightly, and I placed them in free space after a bit of experimentation. I used the highly regarded 120wpc Roksan Kandy K2 amplifier and accompanying K2 CD player (review pending) for the listening tests, and armed with a broad selection of music ranging from the sublime to the ridiculous, I set about delighting myself (and annoying the neighbours). What quickly became apparent was the unforced and natural delivery of most types of music by the Soavo 2’s. Tracks from Tom Jones’ new Praise & Blame (quite good actually) sounded fantastic, with Tom’s big old T-Rex voice full of emotion and drama. As this album was recorded live in-studio it has a more earthy, less structured sound, and the Yamahas really presented the music as a whole – detail was great through the mid-band, and the slightly rolled-off treble (in the recording) complimented the articulate and extended bass register. It’s a stripped-down recording with an emphasis on involvement and musicality, and the Soavo 2’s presented the music in a like-minded manner. It was extremely nice I thought, but after a while I considered it not unusual (ha!) to change discs, so into the Roksan went The Buzzcocks Singles Anthology. This raw set of recordings (basically stink sound quality) can sort the men from the boys, and basically the Soavo 2’s just played what was on the disc minus the last ounce (or gram) of excitement. It was then back to the future with Goldfrapp’s Xanadu-laced Head First, and the Soavo’s excelled on this recording with lush synth sounds, deep robotic basslines and Alison’s breathy but relatively weak vocal. It was pretty good stuff! So there’s the rubdown on Yamaha’s Soavo 2’s – their sophisticated looks are matched with an effortlessly sophisticated performance, the only possible caveat being a subtle reluctance to really get down and dirty with raw-edged rock ‘n roll.